The semi-arid climate in Midland and Odessa mean the sun burns bright and water is scarce. So how’s a homeowner to keep their West Texas landscaping from looking like a dry wasteland? By making smart choices about the plants and trees they put there. Those that are well acclimated to places like Ector and Midland counties can thrive, even in difficult conditions. Here’s a roundup of perennials, groundcovers, shrubs, shade trees, ornamental grasses, and ornamental trees that will look beautiful year-round. After not mentioning the Claremont neighborhood for a while, we’re suddenly seeing gem after gem go on the market there. It’s one of my favorite residential areas in East Dallas, with Midcentury personality, mature trees, and memorable style. 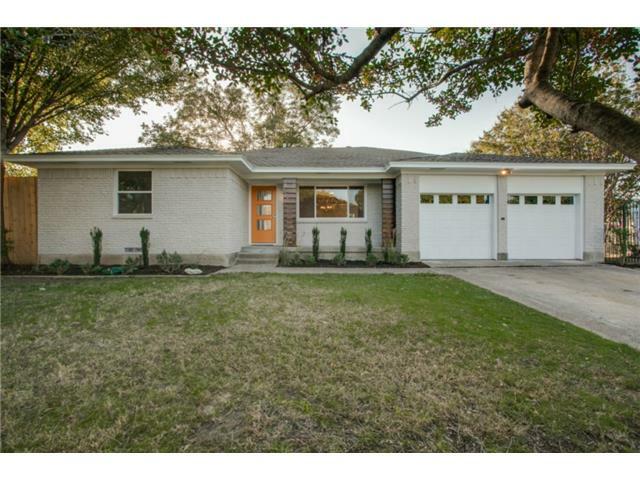 The 1962 ranch-style house at 8526 Sweetwood Drive just came on the market Oct. 31 after an extensive renovation, and it’s got loads of charm packed into its 1,773 square feet. Marketed by Ben Fluno of Chris Arnold Premier Realty for $242,500 (it dropped $2,500 today), I’m actually surprised it’s still on the market. Take a look and I think you’ll agree.